Susan Sokol is a renowned leader in the global fashion industry, who blends business acumen, an exceptional taste level, and operational expertise to envision an overall strategy for moving a company forward. With management experience in all aspects of the business, including merchandising, design, production, operations, sales, marketing, licensing, retail and e- commerce, she has partnered with the founders of iconic brands in President and COO positions at Calvin Klein, Donna Karan, Michael Kors, Vera Wang, J. Mendel, taking them to new heights in the marketplace, while increasing business value. A lifelong New Yorker, Ms. Sokol was educated at Finch College in English Literature. She is a frequent lecturer on the fashion industry at Pace University’s Lubin School of Business, where she is Executive in Residence. She has also lectured at the Harvard Business School, Columbia University, Fordham Business School, and Northwestern University. An active community participant, Ms. Sokol is a member of the President’s Council for Sanctuary for Families, which provides support for domestic violence. She has also served as Regional Chair of Annual Giving, at Northwestern University. In 2012, Ms. Sokol received the distinguished Spirit of Life Award from The City of Hope, a leading cancer research hospital to which she is an Honorary Board member. More recently, Ms. Sokol has become a mentor to the CFDA fashion incubator program where she has mentored three designers. Ms. Sokol has the ability to blend business and operational leadership with a creative and strategic sensibility. Her consistent successes have earned her the reputation as one of the fashion industries most highly regarded executives. Dr. Wildnauer is a life sciences technology and business executive with more than 3 decades of experience in senior level executive positions in operations, business development and R&D in the healthcare and pharmaceutical sectors. This includes 25 years with Johnson & Johnson and 15 years as CEO growing two midsized companies focused on developing and marketing dermatology, skincare, wound care and beauty products. He provides experience-based practical actionable advice and support to entrepreneurial CEOs and Boards of early stage growth companies not achieving their business objectives due to operational execution issues in scaling their business. Currently Dr. Wildnauer serves as a Director on several private life sciences company Boards and Nonexecutive Chairman of one as well as a Director at a not-for-profit. 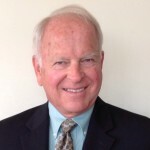 He also provides management and business development solutions as President and Founder of RHW Associates LLC and as an Executive Consultant with Headwaters SC and Mednest. Dr. Wildnauer actively supports entrepreneurship and local economic development through volunteer work as a small business and entrepreneur counselor with the Princeton Chapter of SCORE and an Advisor to NJ Entrepreneurs University, a nonprofit educational and training institute to help entrepreneurial CEOs capitalize and grow their technology enterprise.